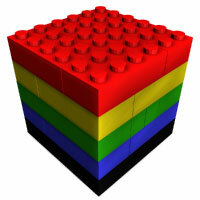 This page is for those who want the instructions to build a 6x6 lego cube. This 6x6 LEGO cube is a little larger than 5x5 LEGO cube. In this model, I choose five different color to build this cube but you can certainly use a single color or any other mixed color. 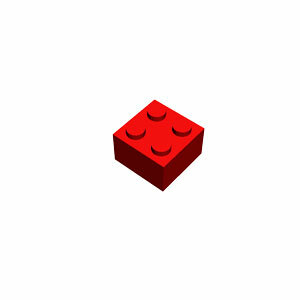 You will need 24 pieces of regular LEGO bricks to build this cube. If you are ready now, let's have a fun learning to build a 6x6 lego cube. Here I am using five different color here but you can have single or mixed color. Get four 2x4 black bricks and prepare to drop one of them. 1. Prepare to drop the 2nd 2x4 brick. Here we are trying make a square layout with black bricks. 2. Prepare to drop the 3rd 2x4 brick. 3. Prepare to drop the last 2x4 brick to complete a square layout. 4. Now, you have completed making the square layout of the first layer. 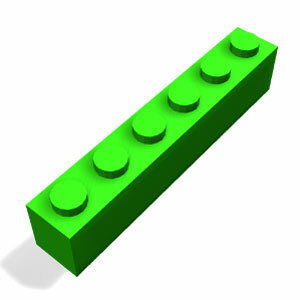 Prepare to drop 2x2 brick to fill the center gap. 5. You need to apply a mirror image of the square layout to make a stable build of a cube. Get another three 2x4 bricks. Let's drop the 1st blue 2x4 brick. 6. Prepare to drop the 2nd 2x4 brick. 7. Prepare to drop the 3rd 2x4 brick. 8. Prepare to drop the last 2x4 brick to complete the square layout. 9. 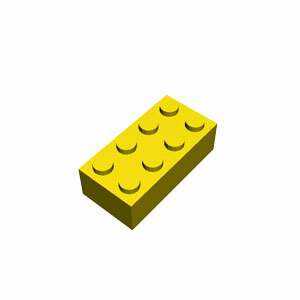 Prepare to drop 2x2 brick to fill the gap. 10. We have used two 2x2 bricks to fill the center gap but they are not stick to our cube yet. We need to apply a completely different layout to combine these two 2x2 bricks to our cube. Prepare with two 2x6 bricks and two 1x6 bricks and then ready to drop one 2x6 brick. 11. Prepare to drop the 1st 1x6 brick. 12. Prepare to drop the 2nd 1x6 brick. 13. Prepare to drop the 2nd 2x6 brick to complete the middle square layout. 14. Now, we will repeat the first two layers here. Prepare to get four 2x4 brick and prepare to drop one of them. 15. Prepare to drop the 2nd 2x4 brick. 16. Prepare to drop the 3rd 2x4 brick. 17. Prepare to drop the 4th 2x4 brick. 18. 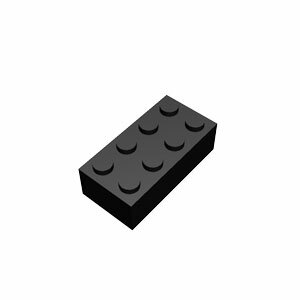 Prepare to fill the center gap with a 2x2 brick. 19. Again, get four 2x4 bricks and prepare to drop one. 20. Prepare to drop 2nd 2x4 brick. 21. Prepare to drop 3rd 2x4 brick. 22.Prepare to drop 4th 2x4 brick. 23. 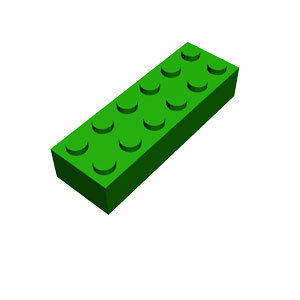 Prepare to fill the gap with 2x2 brick. 24. Now, it is done. 25. Congratulation! You have completed making a 6x6 lego cube. Here I just choose five different color for this cube. But you can select any single or mixed color here. 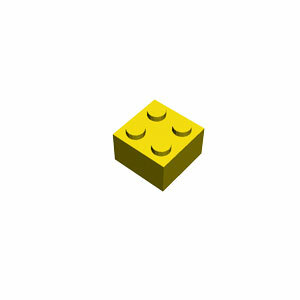 If you want to buld a single color cube, you will need 16 2x4 bricks, 4 2x2 bricks, 2 2x6 bricks, and 2 1x6 bricks.